Greatmoor Energy from Waste was delighted to host an exhibition by Sarah Moncrieff during Bucks Art Weeks 2018. 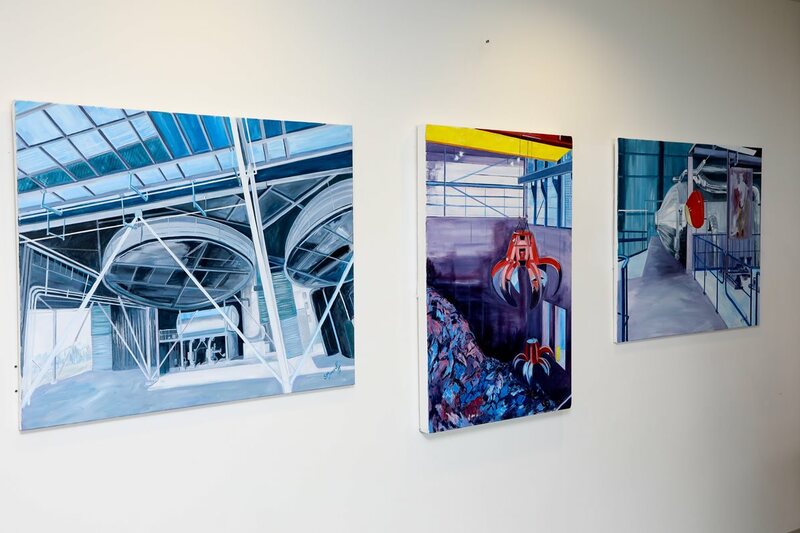 6 new paintings depicting the exterior and interior of Greatmoor – The Turbine Hall, Condenser Fans, Tipping Hall, Waste Bunker & Grab Crane , Boiler and the exterior of the building have all been brought to life in Sarah’s stunning paintings. These paintings will remain in the Greatmoor Visitor Centre and elsewhere on site. Artist Sarah Moncrieff exhibits a collection of her work inspired by Greatmoor. The exhibition, part of the Bucks Arts Weeks 2018, can be seen at the Greatmoor EfW visitor centre.